Holy Quran is the 4th and last sacred book of Almighty Allah revealed on Prophet Muhammad (SAW). Quran is the Book of guidance for all mankind. The responsibility of the safety of this Holy Book is taken by Almighty Allah by Himself. Quran is a source of great inspiration, guidance, and wisdom for millions of Muslims all over the world. We all should know the history of revelation and compilation of Quran so that we can understand how important this Holy Book is for all of us (Muslims). Quran is the central point of faith, and essential to the foundations of an Islamic society being the basis of its shariah, Islamic legal instructions, and law. We can say Holy Quran is a living miracle. The Holy Quran was revealed to Hazrat Muhammad (SAW) in a period that extends to about 23 years. During this time the Holy Quran that we recite today was revealed in bits and pieces and in an order not as we see today. 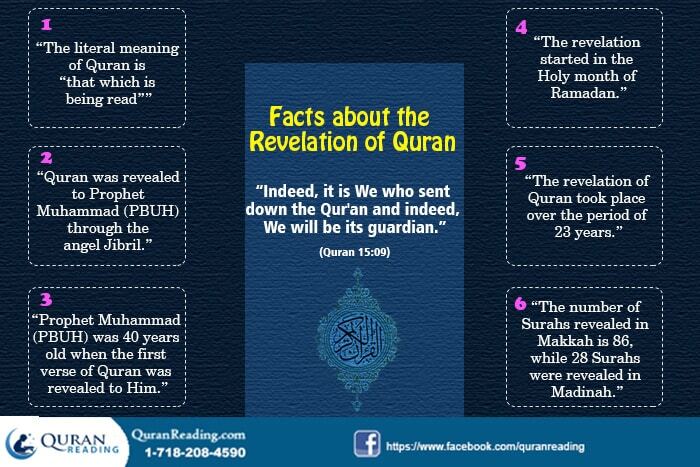 In this article, we will discuss the aspect of Quran by describing its revelation and the measures are taken to preserve it or compilation of Quran over the Muslim history. Quran is the book of guidance, mercy and glad tidings. Other than that we as a Muslim should believe Quran is the Book free of doubts. The authenticity of Quran in terms of its preservation is concerned, Allah Almighty says in Quran: “We have without doubt, sent down the message; and We will assuredly guard it (from corruption).” (Quran, 15:9). So, we can say that the Quran in its present form is the same as it was revealed and there can be no doubt regarding its being Divine in nature and a source of guidance without any doubt or reservation. “So we sent this inspiration to the mother of Musa.” (Quran, 28:7). Quran revealed in form of Wahi which was made open to Prophet Muhammad (SAW) by Allah Almighty in different forms, either during sleep, while awake, with imprint on His heart, or Gabriel brought the verses in his original or humanly forms from time to time. Hence there was a step by step process of revelation where the verses were revealed at specific instances to Prophet Muhammad (SAW) making it easy to circulate and propagate the information to the followers of Islam. So the divine message of Allah (SWT) was revealed slowly to allow the new Muslim Arabs to change and accept the new faith Islam and live their lives according to teachings of Islam. Thus we can conclude from this we have a solution of every problem which we are facing in our lives in the Holy Book Quran. 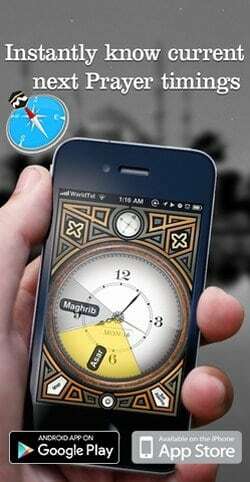 In the beginning, Quran was recorded in form of memorizing the verses of Holy Quran. But later the process of compilation of Quran started to preserve it in form of Book. When it comes to the compilation of Quran, it has been divided into specific parts and time in the history where different Muslim rulers at different times made different contributions to make the compilation of Quran better and more reliable. We will discuss the different stages of the compilation of Quran throughout the Islamic history which has made it possible to view and read Quran in its present form. First Stage during the time of Prophet Muhammad (SAW): First time the compilation process of Quran was started in the life of Prophet Muhammad (SAW). In this stage, the arrangement and order of the Surahs and Ayahs were specified by the Prophet (SAW) and the text was written down. However, at this stage, the Quran was not compiled into a single book, comparatively was available in separate sheepskin and was memorized in its integrity by several companions of Prophet Muhammad (SAW).So, the initial compilation was started in the life of Prophet Muhammad (PBUH). Second Stage during the Reign of Hazrat Abu Bakar (R.A): The second stage of compilation took place during the caliphate of Hazrat Abu Bakar (R.A). In the battle of Yamama a large number of sahaba, who had memorized Quran, were martyred. This became a source of quiet concern for many companions of the Prophet (SAW) and they feared about the preservation of Quran. Therefore Hazrat Umer (R.A)suggested to the Caliph that the Quran should be collected and compiled into a single book in order to ensure its preservation. Hazrat Abu Bakar (R.A) liked the idea but was afraid because the Prophet (SAW) himself had never taken this step and He (R.A) feared that this action might be considered a discrepancy from the However, later on, he had a change of heart and ordered Hazrat Zain bin Saabit (R.A) to be the chief scriber and work on compiling the Quran in a book form. All of the members of the commission were renowned Haffaz (memorizers) of the Quran, i.e. they had already memorized it in its entirety. After listening to various Haffaz, cross-referencing it with the different written verses of Quran found on tree leaves, scorch and leather skins, he compiled a final copy of Quran which was then presented to Hazrat Abu Bakar (R.A). Once the whole text was collected and compiled, the commission carefully proofread it and certified that it was correct and present in its entirety. So, the first Book version of Quran was compiled in the life of Hazrat Abu Bakar (R.A) the first caliph of Islam. Third Stage during the Reign of Hazrat Usman (R.A): During the era of the third Caliph Usman (R.A) a serious issue related to the recitation of the Quran raised. Despite the text of the Quran was universally accepted, Arabs from different parts of the Islamic state recited it according to their dialect. These presented two problems: firstly that everybody considered their dialect to be correct which gave rise to disputes; and secondly, it was feared that if this went on, there will be no universally accepted version of Quran left. From overcoming these problems Hazrat Usman (R.A) requested Hazrat Hafsa (R.A) to provide the earlier compilation of Quran so that more copies could be made out of it. Moreover, He also formed a committee consisting of Hazrat Zain bin Haris (R.A) and a few other Companions to make sure that they agree on the pronunciation of the original copy and produce more versions of that copy in the very same way. The commission prepared the text accordingly and then several copies were made and sent to different parts of the Islamic state with the instructions that only this should be considered the official and authentic text of Quran. Since that day the Holy Quran has remained in its original intact form and will remain as such in the future by the Grace and Blessings of Allah Almighty. In spite of Allah Almighty Himself took the responsibility of preserving Quran, however, He had the work done by humans where different rulers in different times made efforts to make sure that Quran was preserved and it was in a form that was universal with no deviation whatsoever in terms of its textual content which we have nowadays from which we recite.